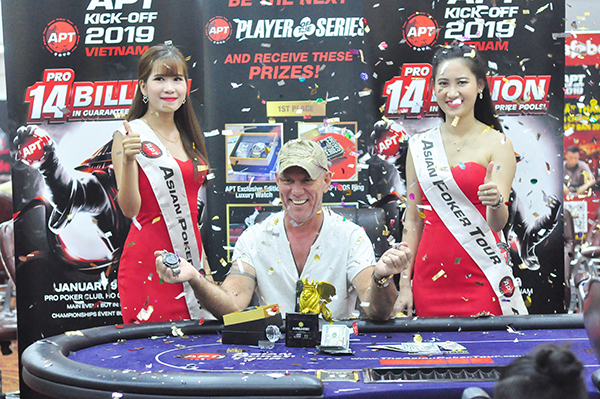 After twelve days of nonstop poker, APT Kickoff 2019 Vietnam has come to a close at partner and host venue Pro Poker Club. The event was a tremendous success with 42 countries represented, 585 unique players, nearly 3800 entries, and well over VND 40 Billion in cash prizes awarded. 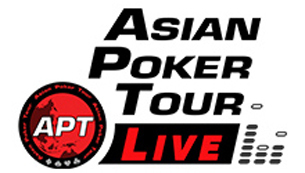 The Asian Poker Tour sends its gratitude to everyone that participated in our season opener, we hope you enjoyed as much as we did hosting it. Thank you as well to all the wonderful staff, you were the backbone of the festival. Our next stops are APT Tokyo and APT Taiwan. Both take place in February. Make sure to mark down the dates. We hope to see you there! We conclude our season opener. The festival ran from January 9 to 20. Relive some of the Final 8 action in APT Twitch and APT YouTube. Most of our events were featured including the MAIN EVENT and CHAMPIONSHIPS EVENT. You can also go to our News tab for all the written recaps throughout the series. 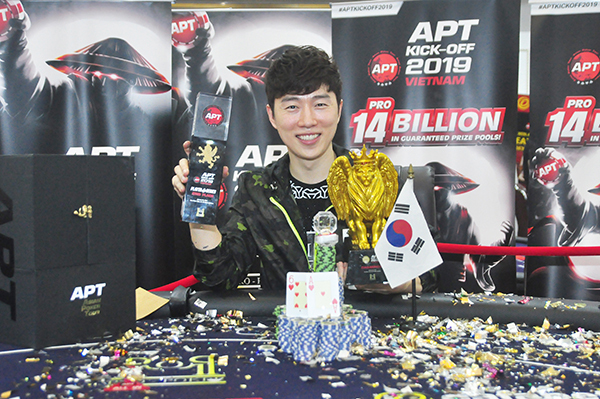 We wrap up with a congratulatory post to all the final side event winners and the winners of the APT Player of the Series. Falcon had a total of 1,098.34 points. For his achievement, he won an exclusive watch, the APT POS customized ring, trophy, and USD 800. Congratulations to Michael for a fantastic run at the series! Coming in 2nd in the race was Lim Yohwan “Boxer”, winner of the Championships Event. Boxer also won one event and cashed in another four. He accrued 1,032.56 points. And taking 3rd in the race was Edward Yam with 903.95 points. Yam had six ITMs at the series. Both Yam and Boxer were awarded series trophies and USD 100. 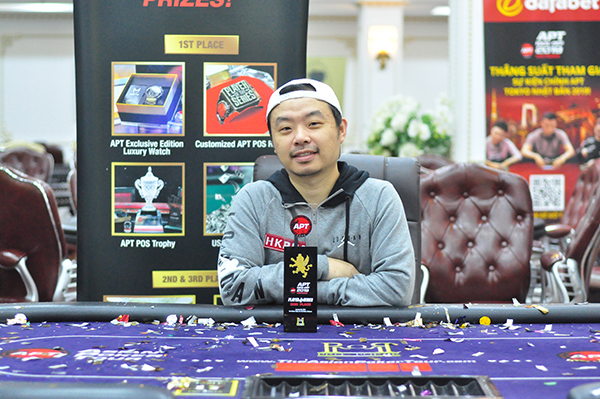 Cao Ngoc Anh, a very well known poker pro from Vietnam, shipped the Monster Stack 2 event. 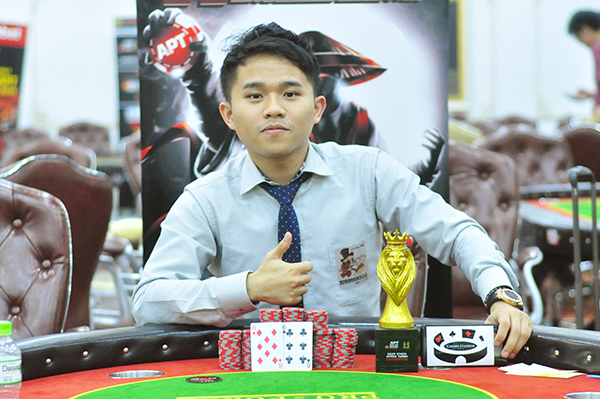 Cao overcame a field of 141 entries defeating India’s Dhaval Mudgal at heads up to capture the golden lion. 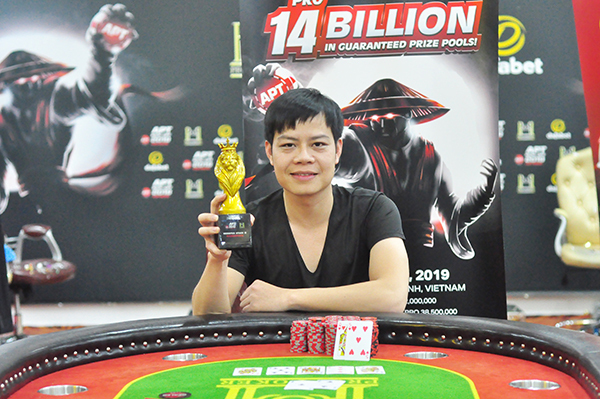 Cao shipped VND 325,066,000 for his victory. The festival closed with one last side event on offer, the Deep Stack Hyper Turbo. It pulled in 76 entries. Claiming the last golden lion on the mantelpiece was another local player, Nguyen Duc Vinh. 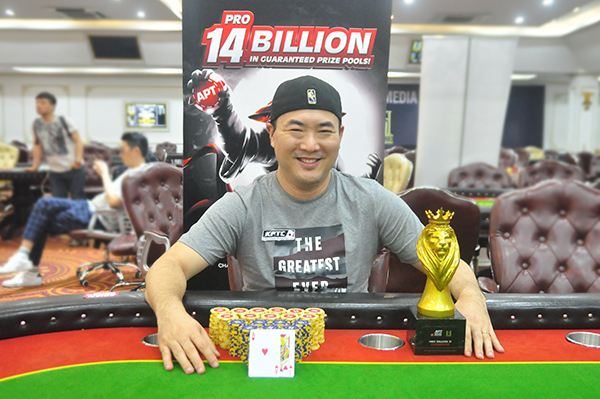 He pocketed VND 102,124,000 for his victory.